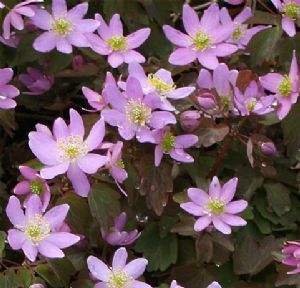 Attractive dark foliage, delicate pink flowers fading paler. appearing in early spring. 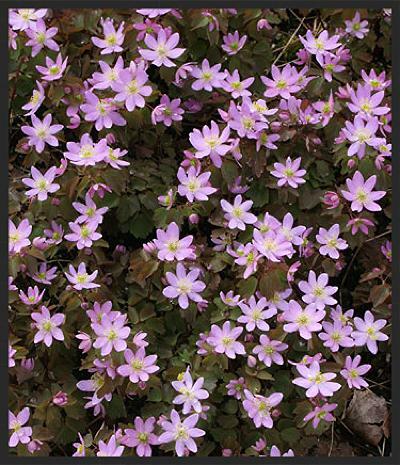 Likes semi-shade with good humus soil.